Styled with montana shirt and continental 80 shoes . 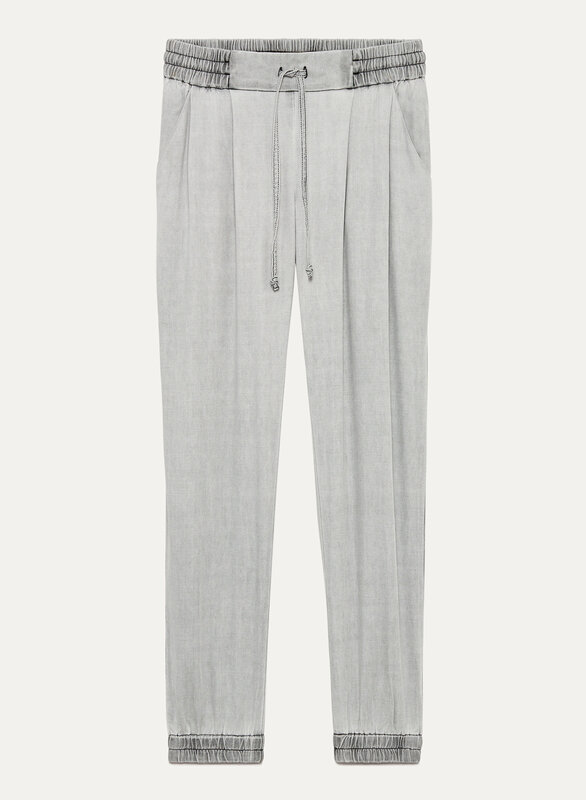 These comfy joggers are made with a lightweight twill chosen for its beautiful drape. 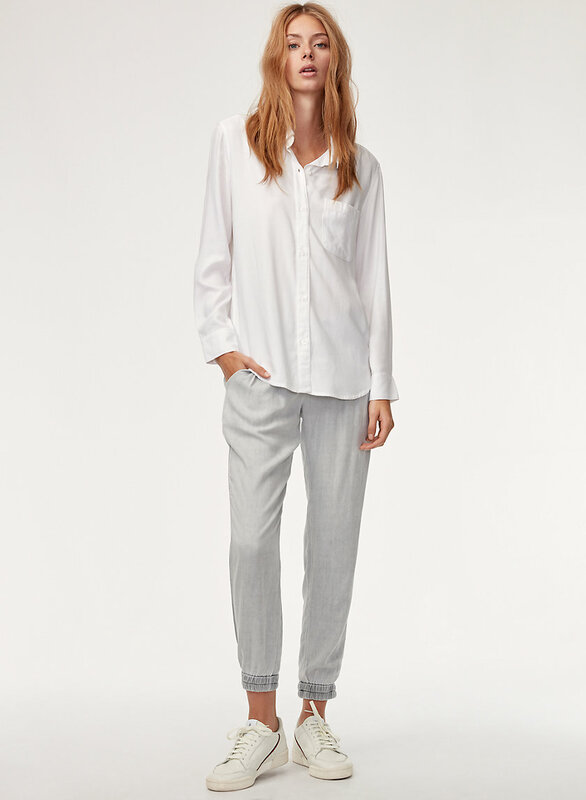 They're cut for a streamlined, flattering shape — great for the weekend. I'm athletic, 5'4, 150 lbs, athletic hourglass, and usually wear a size 6. The medium fit perfectly, flowy in all the right places. I was debating the large because the model is so skinny, but the large would've been too baggy and shapeless for me, and medium fit great. The fabric is fantastic and sturdy, but arrived VERY wrinkled, so just be prepared to iron these so they look the way they're supposed to. These are really comfortable and cute, but they are very thin. 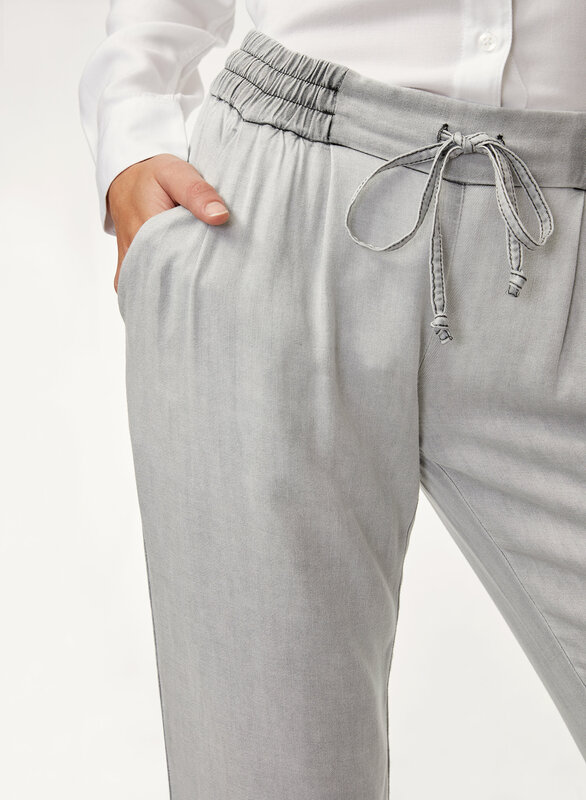 More of a late spring or early fall pant. They run slightly small. Fabric is soft and light. Wrinkles easily, but doesn’t bother me. Looks great and easy to wear. 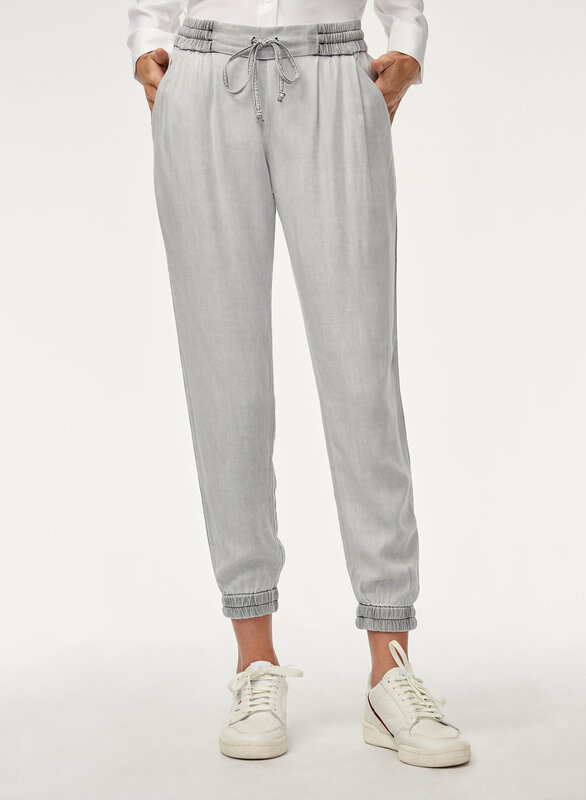 I love the Los Feliz pants, I have them in 5 colours now! Love that they can be dressed up enough for work, or casual enough for weekends with sneakers. Definitely recommend them! So soft and super comfy. Will buy more colors.